Charles S. Novinskie served as Topps Comics’ sales and promotions manager. He’s written articles for Comics Interview and Star Wars Galaxy Magazine. Novinskie was also the editor on Overstreet’s Fan magazine and Topps’ Duckman series. 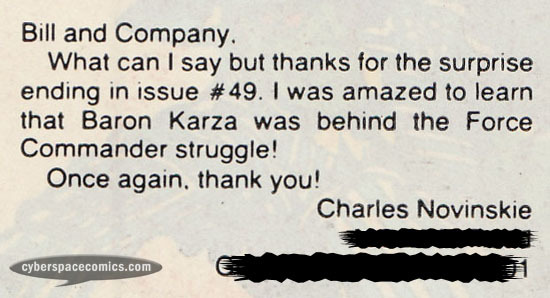 He got a letter printed in the Micronauts #53 (cover date – July 1983), recommending that the creative team get rid of some characters that he finds uninteresting.